The Left Bank Village can host the ultimate wedding. 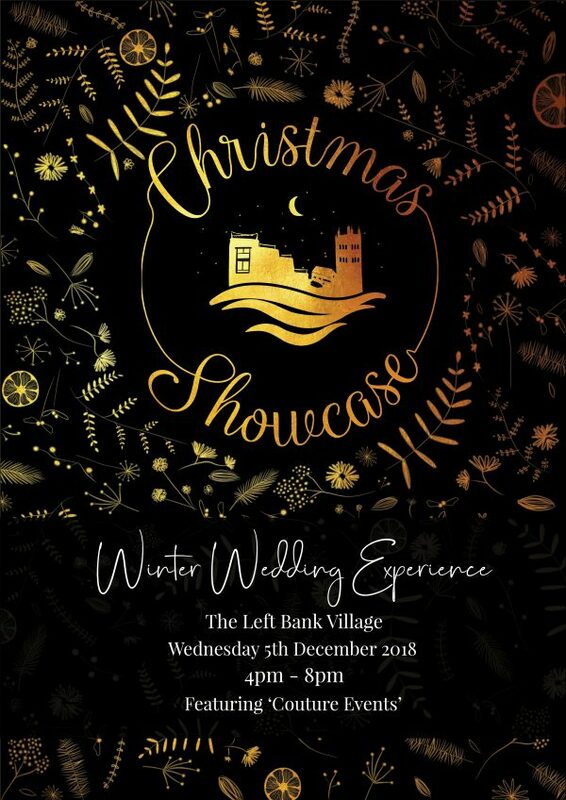 Come along to our special Christmas Wedding Showcase. Explore the festive nooks and Christmas crannies of our amazing riverside venue. Enjoy a glass of mulled wine and find out everything we have to offer. See the Left Bank Village dressed in her best with 4 floors of Beautiful weddings. De Koffie Pot… and don’t forget to ask about our new “Bandstand Brides” Package! If you would like more information, would like to talk with one of the team or would like to book a private viewing of the Left Bank Village please do get in touch.